Welcome to our first book club meeting! Isn’t this fun? Isn’t this great? Nicole and I have discussed what kind of content would be right for us here- reviewing products doesn’t really make sense for this space, not really. And we didn’t want to be flooded with ads (it’s so pretty, the site! So pretty!) But when we were approached to review a novel about food, well, my heart skipped a beat. Books! Food! Perfect! 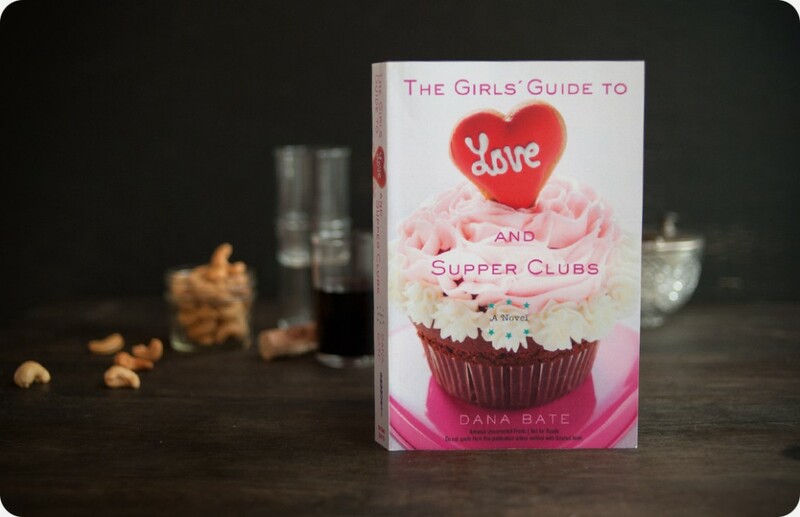 The book is The Girls’ Guide to Love and Supper Clubs and it’s a light, effortless read. It’s fun and engaging, about a young woman struggling to find her own way by hosting a series of (slightly illegal) underground supper clubs in DC. It’s the perfect book for your emergency beach vacation this winter (there’s a blizzard hitting Maine right now, you guys) but I’m going to be perfectly honest- you will probably appreciate more than the average person. It didn’t occur to me until I picked up this book that we (as in lovers of food, food blogs, cooking shows, food magazines, restaurants, cooking, baking and all that is involved therein. Hi.) are a thing now. An audience. I’ve picked up tons of novels over the years that spoke purely and clearly to fashionistas, for example, and I always yawned through the paragraphs describing the heroine’s shoe closet. I’m sure not everyone would be so excited to read about Hannah Sugarman’s deft handling of a four course meal or a description of honey ice cream “with crunchy chunks of honeycombe toffee.” But you’ll get it. You’ll nod and smile and feel that wink of recognition, the same feeling you get when you meet someone at a party and know from the first few minutes that you’ve stumbled upon someone you know, someone kindred in spirit. I know you will. In a small bowl, mix together the mascarpone, honey, and lemon juice. Using a small knife, cut a slit down one side of each of the date to remove the pot. Stuff each date with 1/2 teaspoon of the mascarpone mixture, filling the cavity. Close up the date. Cut each bacon slide in half, so that you end up with 12 slices about 4-5 inches long. If the bacon is very, very fatty, trim away some of the excess fat. 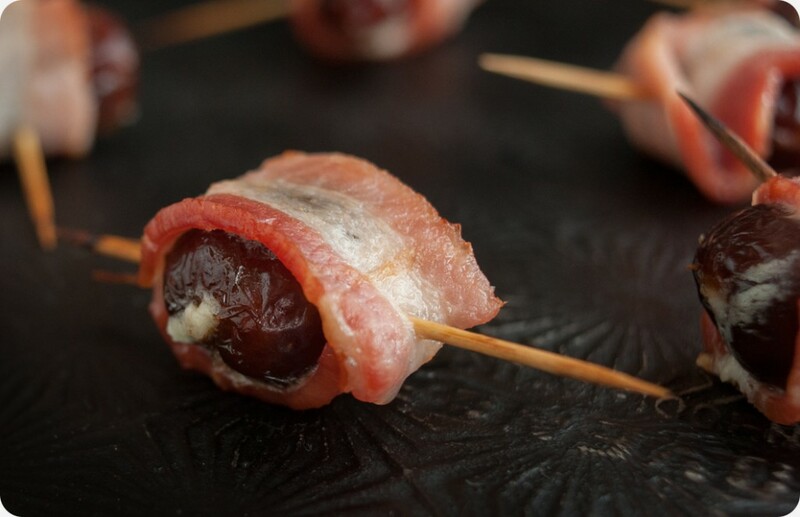 Wrap each date with a slice of bacon, securing the bacon in place with a toothpick. 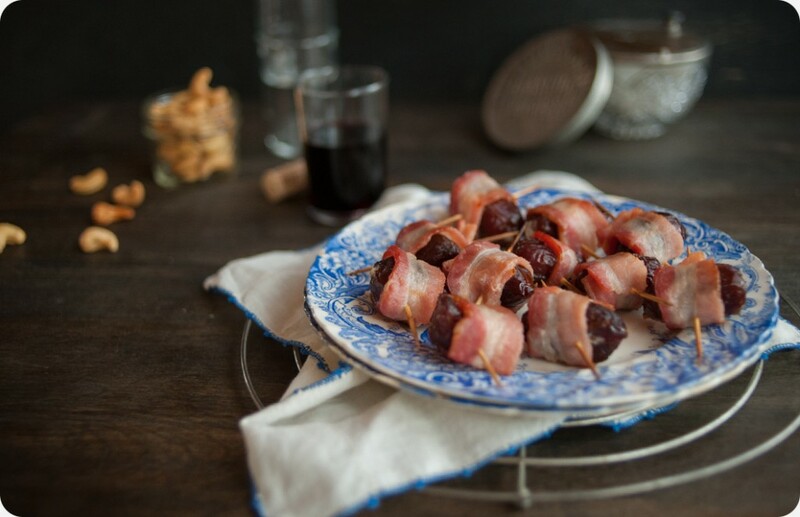 Place dates on a rimmed baking sheet and bake for 5-6 minutes. 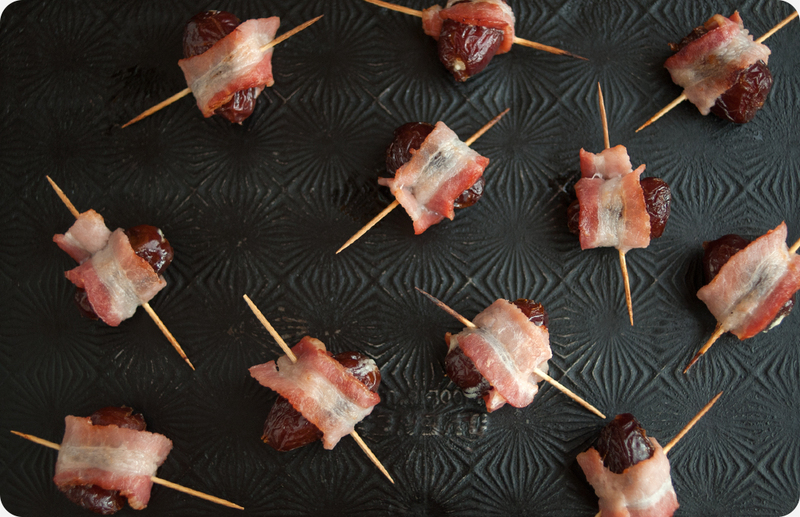 Turn dates over and continue baking for another 5-6 minutes, until the bacon is crisp. Drain on paper towels and let cool for about 5 minutes. Serve. Some Kitchen Stories received two (2) free advanced copies of The Girls’ Guide to Love and Supper Clubs from the author’s press agent. The recipe and excerpts are property of the publisher. However all opinions, thoughts, feelings, impressions are strictly our own. Really enjoying this book. An SKS book club is a BRILLIANT idea!